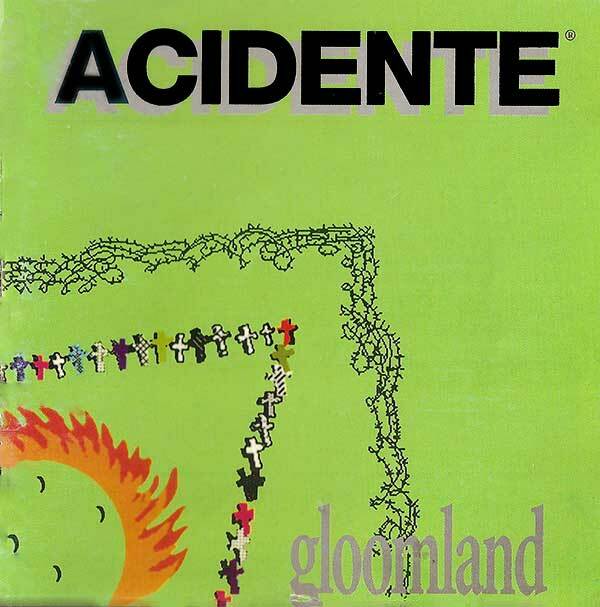 GLOOMLAND is ACIDENTE's fifth release, the first one in CD format of that indie Brazilian band , which means PROGRESSIVE HARD ROCK style, full of creative arrangements and songs with astonishing moments. It is basically an instrumental record, with only 4 out of its 17 songs having lyrics (*). A record to be heard with headphones, at late night, as loud as possible. Although I wasn't playing anymore with them, I did the graphic stuff on a Mala's good idea for the sleeve, which was a 're-interpretation' of Brazilian flag (with a barbed wired fence, a wall of cemetery crosses, a ball on fire with 4 bullets holes). 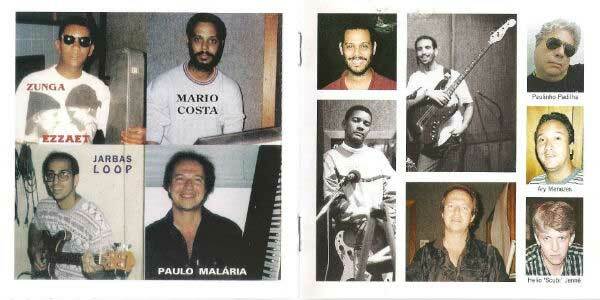 According producer Paulo Malária "In mid 1992 the band entered a new studio to record their first CD. In the beginning the changing seemed hard to take, but after some time the sessions began to flow easily, alternating recordings, reherseals and meetings for new compositions. The final result shows a variety of new tendencies and subtle sonorities, with wide use of overdubs, unaccessible so far. Using a mixed digital-analog system, the band could remarkably expand their musicianship; but, because only 500 units were pressed, this is probably ACIDENTE's least known work. The name Acidente refers to two different bands, existing in sequencial times, having one little to do to the other. 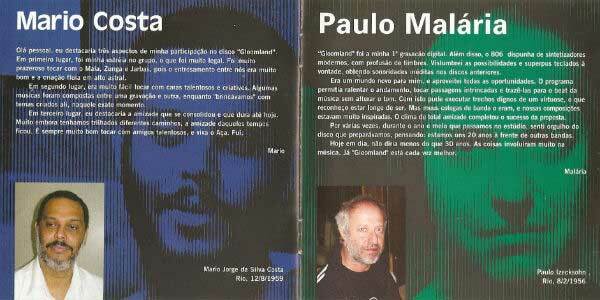 Firts Acidente was founded in 1978 by journalism students in Rio de Janeiro. This band played basic rock'n'roll, drifting from it to blues and samelikes. 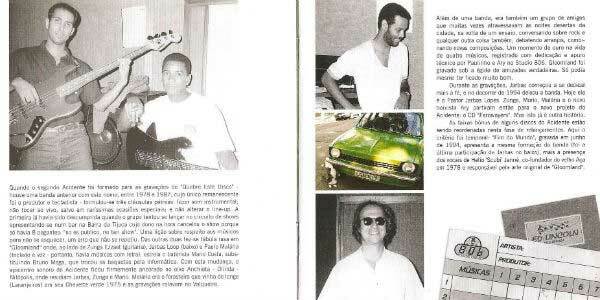 First they gained their space in Rio indie scene; however, just by the time Acidente had recorded their first independent album, in 1981, the major labels detected a pop rock empty niche in Brazil's market, which had been left unexplored for some years, and decided to occupy it with their "products". As a result, Acidente and many other indie bands were heavily torpedoed untill them all languished and perished, facing all sort of boycott in the media and complete ban from airplay - a mean deinvention of thousands of pioneers, so that half dozens cronies, minions of the big companies, could grab all the audience and profit. When this first Acidente incarnation finally ended up, in 1987, they had left 3 records, 31 tracks and no hit at all. Acidente 1993 - Mala, Zunga, Mario, JarbasIt took two more years until sole survivor Paulo Malaria, producer and keyboardist, managed to create a new band, this time intended to play mostly instrumental music, prog-rock oriented. When this finally happened, the new group was named upon the former, allegedly due to a lack of available names. 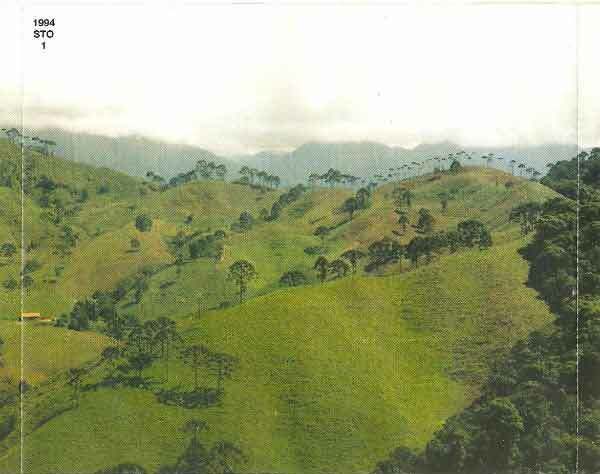 They recorded the LP "Quebre Este Disco", released late 1989, but that would only be launched as a CD in 2000, after two more records had seen the light: this one, "Gloomland", plus "Farawayers". 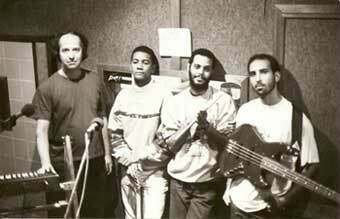 In mid-1992 the band, with a new drummer and the same other three players, entered a new studio to record their first CD, finally entering the digital era. In the beginning this upgrade seemed hard to deal with, but, after some time, the sessions began to flow easily, alternating recordings, rehearsals and meetings for new compositions. The final achievement shows a variety of new tendencies and subtle sonorities, with wide use of overdubs, unaccessible so far. Using a mixed digital-analogue system, the band could remarkably develop their musicianship; but because only 500 units were pressed, this is ACIDENTE's least known work. "Gloomland" was, thus, the second album of the second Acidente - and, in many aspects, the first to appear in CD format, to bear the label "Stolen Records" and, still, to provide Acidente with the chance of a digital environment which enabled the band to expand their musical limits over the former 8-channel limits. Under such conditions - unlike what had previously happened, when all compositions were brought ready to the rehearsals - this time part of the themes were written and/or merged during the sessions, including the title track. This is basically an instrumental record, where only 4 out of 17 themes have lyrics, plus the bonus-track, which features the same lineup plus a special guest, and wasn't included originally for having been recorded months after the release. "Gloomland" was well acknowleged by progressive fans (the few ones who succeeded to get a copy) and received favourable critics from specialized press. Even though, Malaria kept refusing to tag their music progressive rock, stating that this honour should be granted by listeners, instead, he'd call it humbly "hard muzak", although there's an obvious contrasense in it. From "Gloomland" on, Acidente embarked on an increasing search for more elaborated sounds that would lead them to '996 "Farawayers" and, in 2002, their masterpiece "Technolorgy", after which the band retraced back to an old simple pop rock, resulting in their latest modest and lesser known works. "Gloomland" remains a landmark in Acidente's history, almost unavailable so far, since its first issue sold out soon after released. Unique edition of 500 units. ACIDENTE ® PAULO MALARIA ® & STOLEN RECORDS ® registered trademarks. All rights reserved by the producer of this record. Void any reproductions etc. ACIDENTE ® has no representatives ou licenced agents and now ACIDENTE doesn't play live anymore. to download, click on the arrow at the right. De que adianta fingir que não vê? Mas pra que falar se não se pode resolver?